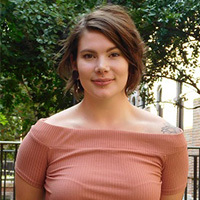 Catherine entered the Ph.D program in the fall of 2017. She received her BA in Great Books and Political Science from St. Thomas University in 2017, graduating with the department awards in both Great Books and Political Science. Her research interests include classical political philosophy, specifically Plato; politics and literature, art, and film; and the history of philosophy.